What does mycelium on caps mean? 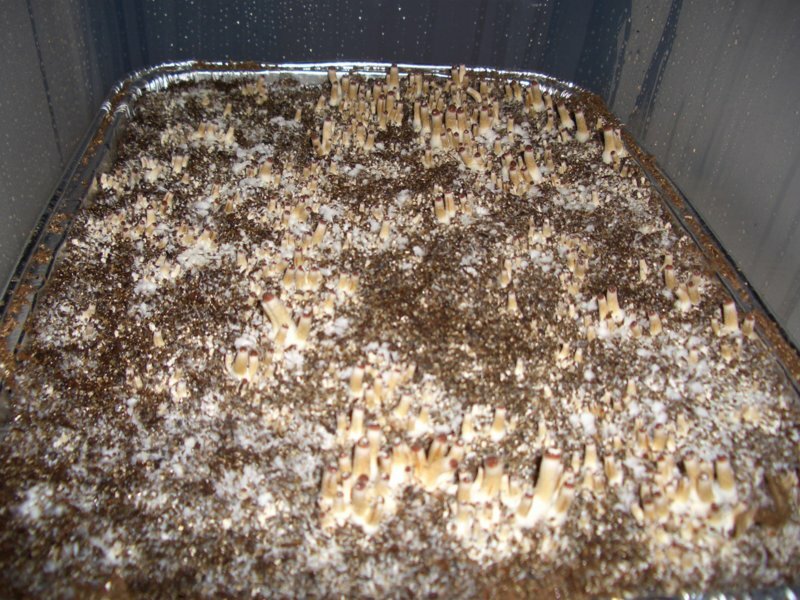 Im not sure whether mycelium on mushroom caps mean too much moisture or too little. if anyone knows please post that info. Notice the large inverted "umbrella" of mycelium on the smaller mushroom off to the side of the mutant. To much Humidity but I usually see that also when they are really small. when they get bigger it usually goes away for me. It's due to high humidity. Casings don't need 100%, around 90% or so is better. 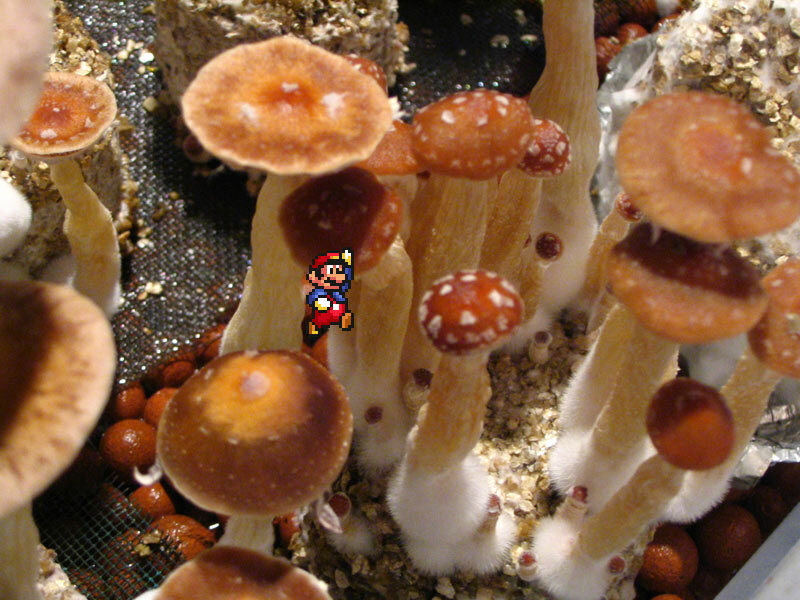 Fortunately, the myc growing on the caps is harmless. If this is correct, someone should fix the PF Tek found HERE. 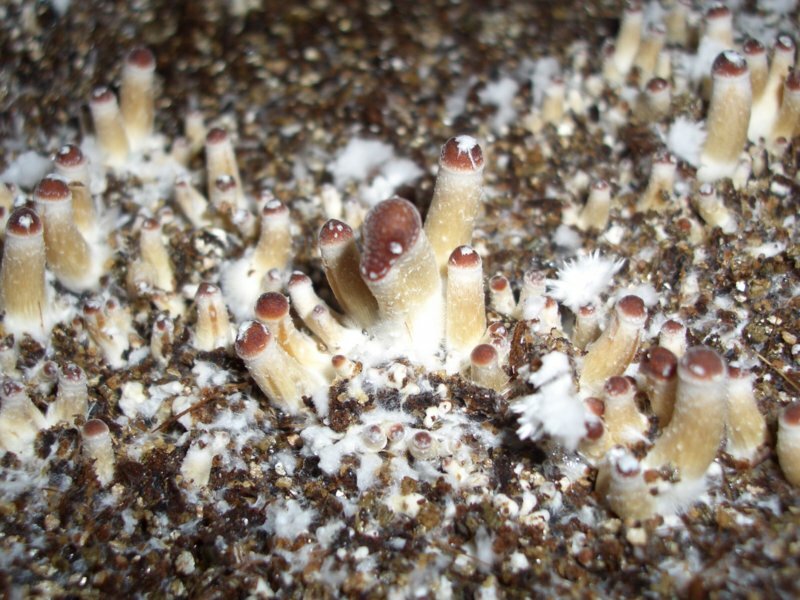 It says "When the humidity is a bit low, but not low enough to stop fruiting, the mushrooms can have fuzzy white mycelium growing on the tops of the caps." Yes no negative effects whatsoever, in fact it only makes them cooler looking and adds a very small amount of psilocybin. even substrate, even casing layer, and proper initiation ought to do it for you. or you could try working with an isolate. 2,257 topic views. 15 members, 68 guests and 12 web crawlers are browsing this forum. Generated in 0.04 seconds spending 0.014 seconds on 19 queries.